I have loved flowers for as long as I can remember! I've always had a very creative background, through school and university (studying design) and so much more in between. When it came to picking a practical career I couldn't go past floristry. It's an absolute joy to be able to create so many beautiful arrangements for the enjoyment of others. 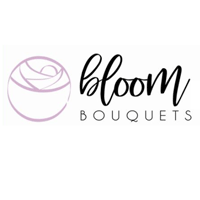 Bloom Bouquets was born two years ago, and we have been actively trading in Hawke's Bay for nearly 6 months. We are a mobile florist, based out of Bayview, Napier - creating and delivering florals across Hawke's Bay. We specialise in all things floral, from daily bouquets delivered directly to your door, to one-off custom arrangements, condolence flowers, corporate flowers, installations, parties and of course weddings. We source fresh flowers every couple of days from suppliers all over New Zealand, and of course from local Hawke's Bay growers as well. We have only the freshest seasonal ingredients in our arrangements, but can cater to any particular requests as well – with access to some unique imported flowers as well. Not only are we out there creating and delivering floral arrangements, but we also stock a small range of gifts to compliment your bouquets. From fresh NZ grown potted botanicals, to locally made chocolates and candles as well. As we are a small business ourselves, we love to do our best in supporting other kiwi businesses too! I am hugely passionate about following both NZ and overseas floral trends, so our designs are bespoke and unique and evolve seasonally while we try new things and revive sometimes more classic trends. This time of the year in Hawke's Bay, we are seeing the most beautiful array of seasonal flowers. The trends here are consistently being led by the availability of locally sourced New Zealand grown flowers. This summer so far we are creating a lot of bright and rich coloured arrangements with lots of textures, shapes and plenty of greenery and foliage. You will see lots of garden style arrangements, fresh and often a little wild, with many different flowers and textures - smooth, soft, prickly, delicate, big and full, creating a lot of interest. It's the small detailing of these flowers that brings something special to these beautiful combinations. These changing trends and our customers creative ideas as well – are our inspiration for our mobile florist. Not only delivering bouquets, but moving from home to home (or business), we use flowers to bring life and personality to any space, tweaking styles to suit every individual. Whether you want a luxurious, inviting, fresh, peaceful, calm or a relaxing home, flowers can help to create an environment you love. Take this into consideration when choosing your next bunch. And don't forget your workplace too, whether it be an office, reception, shop, cafe or restaurant - a little flowers go a long way. Keep an eye on our social media and website for our current creations, and the exciting things we have in store coming up for Valentine's Day! We are really looking forward to meeting and working with more amazing people here in Hawke's Bay.